The January 2019 issue of The RADIOGRAM has been published and is ready for you to enjoy. Hope you enjoy this issue – READ ALL ABOUT IT – Congratulations to the newly elected officers for 2019 – Ham Radio Boot Camp Dry Run – Carole Perry to visit PCARS in March – WB8LCD receives the President’s award for 2018 – Check out the club’s “Funmeister” ! – PCARS has a TON of stuff going on and even more in the works – something for everyone! PCARS will have it’s weekly net this week on Thursday, December 27th at 8:00PM on the K8IV 2 meter repeater (146.895 Mhz., PL 118.8 Hz). Please check into the net and help us close out 2019 with a HUGE number of check-ins! You can also check in via the K8SRR Echo-Link node, and YES, Echo-Link is expected to be operational! YES! This will also be the final NET NIGHT AT THE CLUBSITE for 2019. The final PCARS event for what has undoubtedly been PCARS finest year to date! Please join us for an evening of checking into the net, checking out the new HF station configuration (maybe even check into some rare DX), some fine PCARS refreshments (bring along some snacks if you can), and, if we have interest in it we can even take up an offering to have some pizza’s brought in. So, check into the net. Stop in at the clubsite. Help us to celebrate (yeah, one more time) the outstanding year that PCARS has just finished. But remember, that’s only a pre-curser to the years ahead of us! IT IS TIME FOR YOU TO PAY UP! PCARS Dues are due BEFORE JANUARY 1, 2019. If you do NOT pay BEFORE then, you are NOT a member after. Then, you have to RESUBMIT AN APPLICATION AND PAY THE $5 EXTRA. Of course, if you have extenuating circumstances, you can call, text or email before 12/31/18. If postmarked before 1/1/19, you can mail it to me (address below). The PCARS website has a PayPal link for dues. Or, last-ditch effort : I will be at the Thursday December 27 Net Night (a party for our BEST YEAR EVER), and you can see me for dues. You have, really, no excuse to pay the dues for OUR 2018 HAMVENTION CLUB OF THE YEAR. You can also use the PayPal button on the club webpage. PCARS! Don’t forget the weekly PCARS net this Thursday, December 20 at 8:00PM (local) on the K8IV 2-meter repeater – 146.895Mhz. And don’t forget the PL of 118.8! You can’t get in without it……There will be the FINAL net of 2018 on Thursday, December 27. Please be sure to check into both of these nets! Thursday, December 27 will also be the last “Net Night at the Club Site” of 2018! This will be the last PCARS activity of what has been an OUTSTANDING year for PCARS. Come on out, we will celebrate our accomplishments of 2018 one more time, and then start talking about all the good things on tap for 2019! WE ARE NOT GOING TO SIT BACK AND CALL IT A DAY – 2019 is going to be an even better year for PCARS and Ham Radio – you will want to be with us. Hope to hear you on the nets and see you on the 27th. In the meantime, I wish you all a very Merry Christmas! 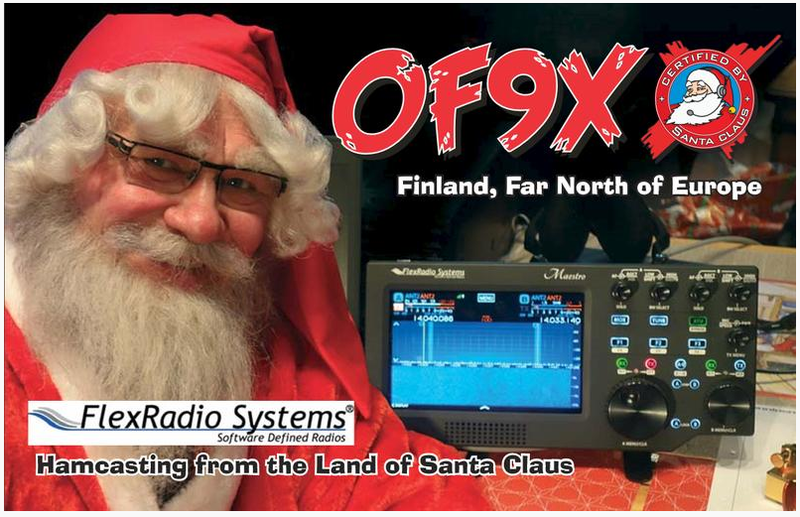 Since the 4th Tuesday this month falls on the 25th and since the 25th is Christmas, the DX/Contest Special Interest Group meeting is cancelled this month. See you in January. Really looking forward to the dinner this coming Monday. We had quite a few reservations, so the turnout should be great. Also wanted to let everyone know we will be having cake for dessert this year. We felt the need to celebrate receiving Club of the Year one last time. So save all those cookies for our Net Night at the Club on the 27th if you have any left from Christmas. Remember you must have made a reservation with Tom WB8LCD for dinner. Looking forward to having a great time! !